You don’t appreciate what you’ve got until it’s gone. This morning while making one of the many trips I take into our basement everyday, I fell. How it happened, I have no idea. What happened, I couldn’t tell you. One minute I was at the top of the stairs balancing a case of pickling vinegar in one hand and a big box store case of Ziploc freezer bags in the other, trying to flip on the light switch, the next I’m at the bottom of the stairs. What happened in between is a blur. I remember trying to stop myself from falling, hitting the stairs with my back, and pain radiating from my right hand up my arm, but I don’t remember taking a step. As I lay at the bottom of the stairs, I quickly took an inventory of my body. Although my back was a little sore from the initial hit, it was only my hand that really hurt me. It was actually on the stairs above me when I realized it was hurting. The best I can determine is I must have tried to stop myself from falling with my right hand. That was holding the box of freezer bags and they were at the bottom of the stairs. The vinegar, which I was holding in my left hand was above me on the stairs. I don’t think I even let it go while I was falling. The first thing I did after getting my bearings back was to move my wrist. Some pain, but not enough to worry about a break. Next I moved my fingers, one at a time. Starting at the pinky, no pain; ring finger, no pain; middle finger, no pain; index finger, moderate pain; thumb, pain. Then I looked at my hand, it was swelling up real nice. The wrist was already nearly double my other one and the thumb portion of my palm was throbbing and blowing up like a balloon. Great! Just what I need, a sprained thumb. I sat there for a few more minutes, pulled my cell phone out of my pocket and stopped. Should I call anyone? It wasn’t like I was really hurt. I could walk, I didn’t think anything was broken, and it was only 8:00 in the morning and Hubby would probably still be asleep at work (those 24 hour shifts don’t mean he’s up for all 24 hours). Still, the fall had scared me. Grace was at work, Zeb was upstairs sound asleep and wouldn’t hear me if I called, and Bell wouldn’t be much comfort unless I was sitting on the floor to play. I dialed. As I knew would happen, Hubby did not pick up, but I left a message. Pulling myself to my feet, I walked back up the stairs, not remembering why I had been going down there in the first place. I sat down on the couch and looked closer at my hand. The veins in my wrist were swelling up real nice now and the throbbing pain was like a racing heartbeat. I walked to the kitchen, grabbed a towel, filled it with ice, and went back to the couch. Even putting the soft, cold towel gently on my hand caused pain to radiate up my arm. Still, I could move my fingers with minimal pain and twist my wrist with minimal pain. The only thing I couldn’t do was touch the thumb portion of the palm of my hand or make a fist without making the throbbing worse. Hubby called as I sat there contemplating if this was anything to be concerned about. Hubby asked all the typical questions, “How did you fall?” “What were you doing?” “Does anything else hurt?” “Can you move your wrist, fingers, hand?” From my answers he decided it wasn’t that serious and told me to keep ice on it for a while and then wrap it. For the past four hours I have iced my thumb, wrapped it, unwrapped it, iced it some more, and then wrapped it again. It hurts but is not even close to the worst pain I’ve ever experienced. What is frustrating is I can’t use my right hand to lift anything, hold anything, or type. I can use three of my fingers on my right hand to type, but with the bandage, every other letter comes out wrong. Worse yet, I can’t hold a pen, silverware, or the mouse to my computer. 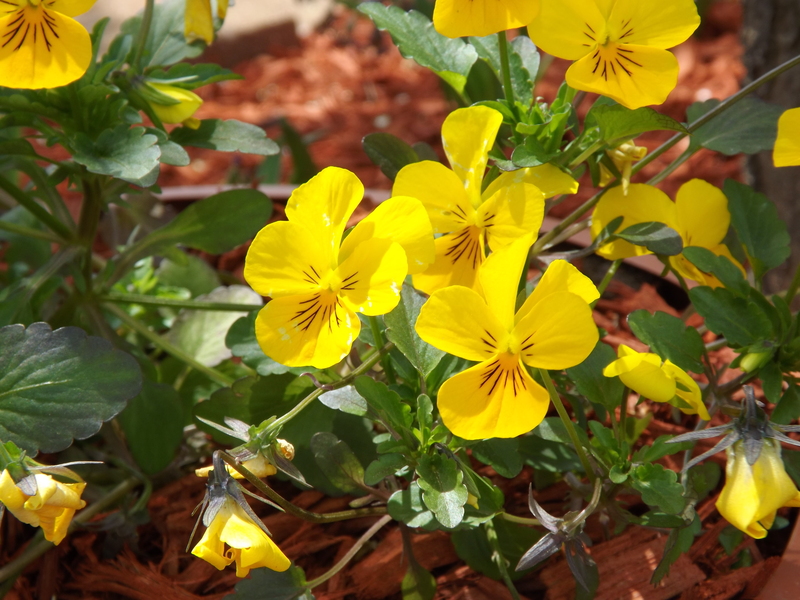 Isn’t it amazing how even the littlest injury can throw a wrench into seemingly easy tasks. There are so many things taken for granted every day, our health for one, and until something happens to shatter the illusion that everything is always going to be okay, we don’t give it a second thought. Today’s fall could have been a whole lot worse. I am grateful that my hand is the only casualty today. What I am more grateful for however is that this little accident rocked my world and has me rethinking my priorities and what is truly important. Hubby is always telling me without our health, we don’t have anything. All the money in the world means nothing if you’re not well enough to enjoy it. For all the supposed problems we might have looming in our lives at the moment, none of them seem all that pressing today. My fall today scared me. Obviously falling down a flight of stairs is scary for anyone, but as I get older, every bump and bruise causes me to re-evaluate what I do and how I do it. Practically every time I head down the stairs to the basement I have something in my hands, more often than not though I have a lot of things in them. I grab as much as I can in order to cut down the amount of times I have to go up and down those stairs. Is it really worth it? Today I’d have to say, “NO.” I need to slow it down. Not everything is about being as efficient as I can, especially if it means possibly really hurting myself next time. There will be no baking today, no journaling, no scrubbing toilets, no vacuuming, and definitely no more trips down the basement stairs. Hubby called and told Zeb to take care of me until Grace gets home from work and Grace texted me and told me if she finds out I tried peeling potatoes for dinner, she’s going to smack me. Zeb heated some pizza up for me for lunch and checks every 30 minutes or so to make sure I’m feeling okay. Gotta love ’em. Everything happens for a reason and the reasons are clear why a minor fall was a necessary happening in my life today, and for this I am, regardless of the pain in my hand — Simply Grateful. Ever have one of those days when nothing is going to make it possible to get through it except possibly, just maybe a heavy dose of chocolate. Well, today was that type of day for me. In fact, it has been that type of month, but until this afternoon I didn’t have the time, inclination, or inspiration to quell my insatiable need for luscious, rich chocolate anything. Although there are several chocolate mixes-in-jars recipes I wanted to try, none of them were the “just right” recipe for today. So, I did what every recipe loving/collecting homemaker would do, I went to the internet and typed in “How to satisfy my chocolate craving!” The results were too overwhelming to even begin to explore, so instead I brainstormed what chocolate concoctions in the past have quenched my seemingly unquenchable need for chocolate and decided that a double chocolate muffin was one that always hit the spot. 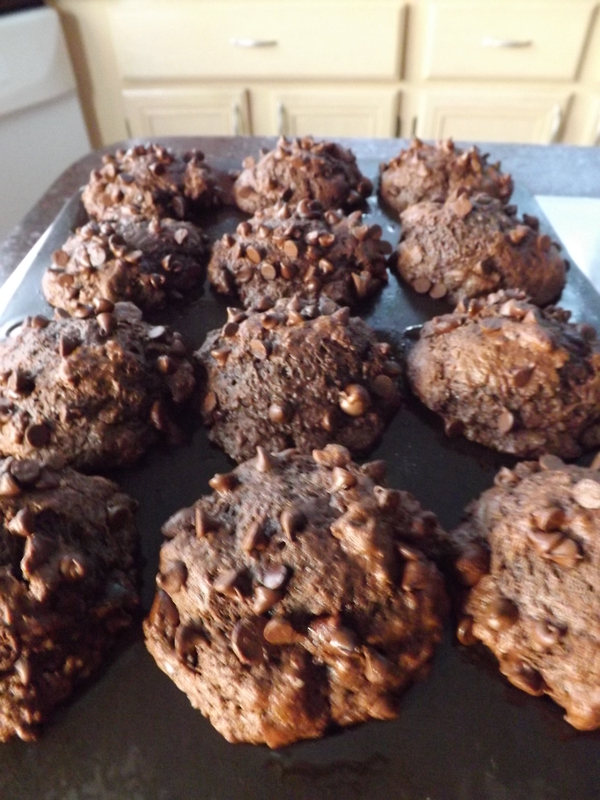 There are hundreds of recipes out there for double chocolate muffins. The first 10 I went to were all pretty much the same, but in reading through the comments I learned a lot about what ingredients really make chocolate “pop” and which ones would ensure a moist inside with a crispy top. Although I have been baking since I was 11 years old, up until the past four or five years this has meant pretty much just following a recipe. Experimenting with ingredients, proportions, and substitutions was not an option with the fear of failure constantly looming in the background. Wasting money, too, was a huge factor in never veering far from the written word. What I have learned is the more I read recipes, the more I learn what makes things rise, fall, set, thicken, tenderize, and moisten. It isn’t just by chance that a cake rises, white sauce thickens, or the flavors in some recipes are far more intense than others. It’s science! Don’t worry though, I’m no scientist, so I’m not going to get into the why, for that you’ll have to Google it yourself. I will however share some of the wonders of cooking that I have been thrilled to learn, you know those Ahhhh! bits of information that keep reminding me how much I have to learn. When you add cocoa to a recipe, milk can be used, but it isn’t the liquid of choice. Buttermilk, sour cream, or yogurt will really make the cocoa sing. This combination makes a delicious, moist texture and enhances the bitterness of the cocoa. Typically when cocoa is added to a recipe it is added to an existing recipe. Therefore, the amount of eggs and fat in a recipe calling for cocoa should be higher. When a recipe calls for cocoa and/or buttermilk, baking powder should replace some of the baking soda. A recipe with cocoa should have a bit more sugar because the cocoa has a tendency to be bitter. In order to attain the “bakery look” for muffins, mix the batter as little as possible, just until the ingredients are combined. The more you mix it, the more of a chance your muffins have to be tough, heavy, and flat. To get the most rise out of your recipe, bake muffins at a high temperature for the first few minutes and then lower the temperature for the remaining time. That being said, I finally decided on three recipes for double chocolate muffins. They were all somewhat similar, but all different as well. One called for brown sugar, one called for yogurt, one called for salt (here I thought all baked goods needed salt), one called for milk chocolate chips, and only one called for instant coffee. None of the recipes I found utilized all the fun facts I learned about using cocoa in recipes, so you know what that meant? Yep, time to make my own. Preheat Oven to 450 degrees (very important). Grease 12 muffin cups. Sift flour, sugar, cocoa, soda, baking powder, and espresso into a large bowl. Whisk eggs, vanilla, yogurt, butter, and oil in a separate bowl. Make a well in center of dry ingredients and pour in liquid mixture. Stir until just combined. The mixture should be lumpy. Add 1/2 cup semi-sweet and 1/4 cup milk chocolate chips. Mix gently until blended. 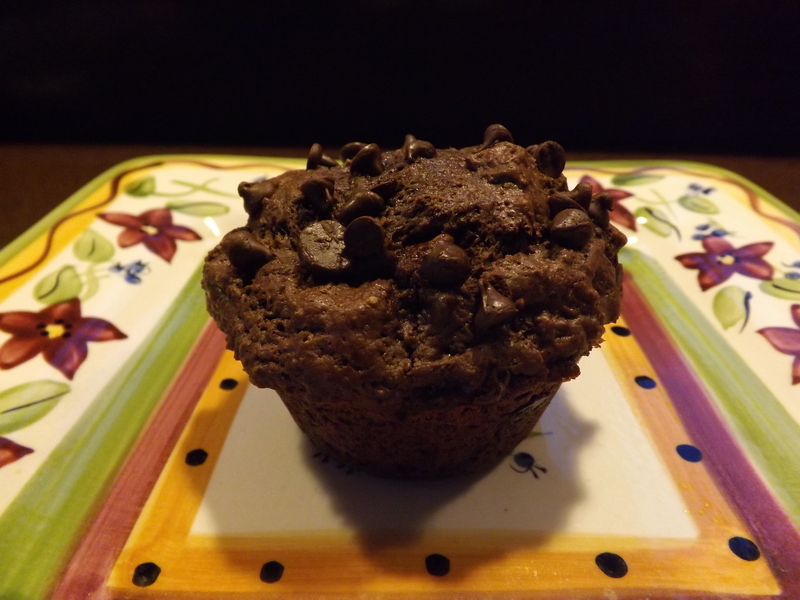 Fill prepared muffin cups 3/4 full and sprinkle with mini chocolate chips. Bake in preheated oven for 3 minutes. Turn heat down to 350 and continue baking for 12 to 15 minutes more. Remove from oven when toothpick inserted in center of muffin comes out clean. Cool in pan 10 minutes before removing. This recipe should make a dozen muffins, but my muffin pan must not be a standard size. It does seem a bit shallow. I was able to get 12 muffins and 12 mini muffins (which were baked 3 minutes at 450 and 10 minutes at 350). These muffins are fabulous. They are super chocolately, crisp on the top, and moist on the inside. They have a dense, tender texture and satisfied my craving for chocolate like nothing else. I love cooking, baking and canning and do it practically every day, three times a day, but that doesn’t mean I know everything there is to know about any of these. Being in the kitchen is a constant learning process and I love every minute of it, and for this I am — Simply Grateful. Believe it or not, I had never had a scone before today. I had no idea what I’d been missing. This morning, Grace and I were out and about running some errands and while at a specialty fruit/deli market ordering pork fat to render lard we happened to walk past the bakery. There in the case they had several different kinds of scones as well as boxes of them on the shelves across from the counter. Grace commented how good they looked, really good, a clear hint that she wanted some. Even at 18 coming right out and asking for some just isn’t going to happen, everything is a game. Fortunately for my pocketbook, my recent exploration for mixes in jars revealed several variations of scones, so rather than spend an exorbitant amount of money on store-bought scones, I promised Grace to come home and make one of the recipes I’ve been wanting to try. It is overwhelming how many recipes there are out there for scones and scone mix for jars. The trouble is, the ones I liked all called for using shortening in the jar mix portion. Shortening is not something I use in my kitchen. I’m sure there might be an argument out there for using it, but when you take into consideration that it was originally used by auto mechanics to lube whatever it is they lube, I just can’t justify putting this in food that I am going to feed to my family. 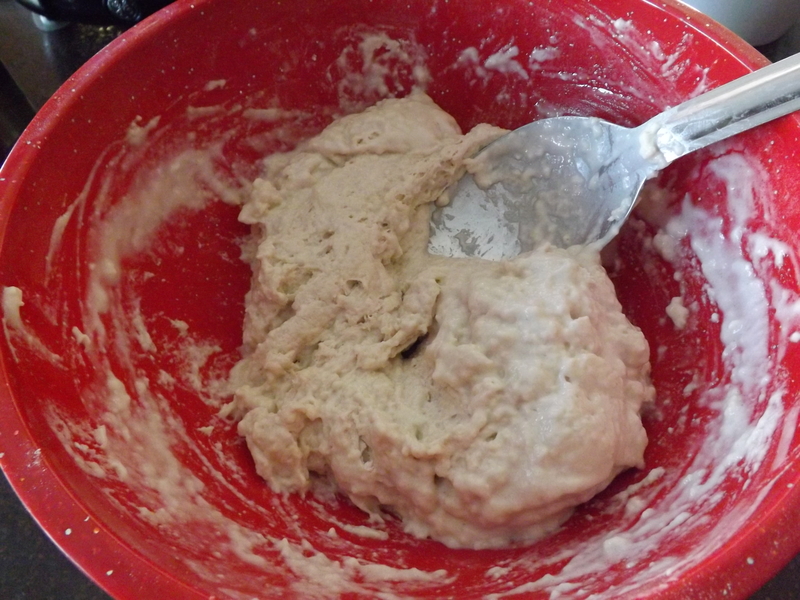 Anyway, for me, using butter or lard after the mix is poured into the mixing bowl is the route I plan to follow, so I will present the recipe with both options and this way each person can make their own decision as to how they want to make their mixes. 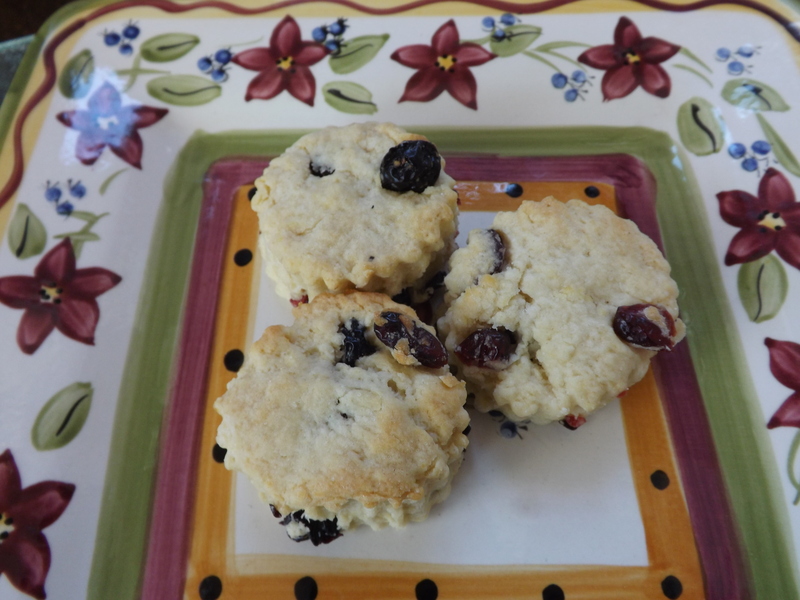 Today I chose a recipe for Blueberry Scones to start with for my first taste of scones. As usual, there were ingredients I didn’t have on hand, so I had to improvise. Also, I wanted to use dried cranberries as well as blueberries. In the end, the scones turned out really good. Combine dry ingredients in mixing bowl. Cut in butter, lard, or shortening with pastry blender until mixture resembles coarse crumbs. Stir in dried berries. Add egg, extracts, and water, stirring until moistened. Turn dough onto lightly floured surface and knead until dough comes together. Pat dough to 1/2 inch thickness and cut into desired shapes. Bake at 400 for 12 – 15 minutes. 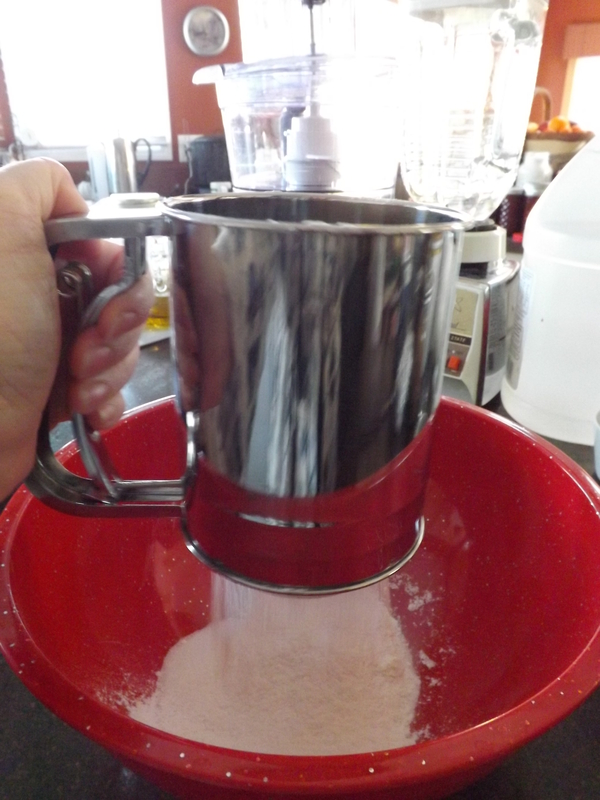 The original recipe for this mix called for 1/3 cup vanilla sugar, which I did not have. I substituted the 1/3 cup granulated sugar and 1/4 tsp. vanilla extract and it worked out just fine. Place contents of jar in large mixing bowl. Cut in 1/3 cup softened butter or lard with pastry blender until mixture resembles coarse crumbs (cut this out if you added shortening to the dry ingredients and sealed in your jar of mix). Add 1 beaten egg, 1/4 tsp. vanilla, 1 tsp. 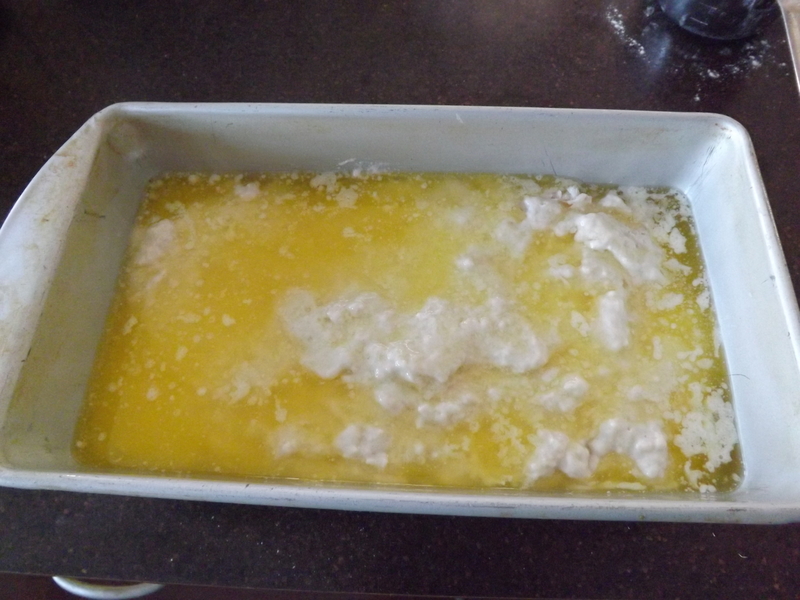 pure lemon extract, and 1/4 cup water, stir until moistened. 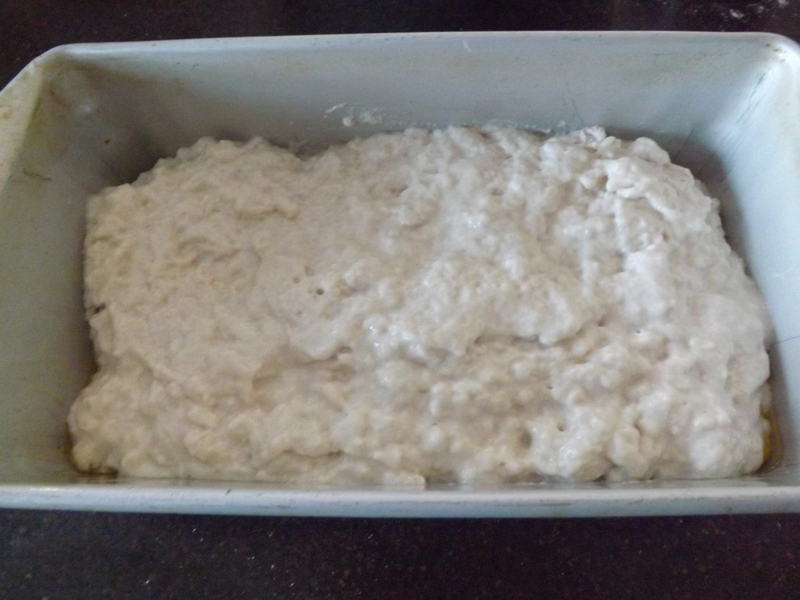 Turn dough onto lightly floured surface and knead until dough comes together. Pat dough to 1/2 inch thickness and cut into desired shapes. Bake at 400 for 12 – 15 minutes. What I really love about this recipe is that it is so versatile. By changing the flavor of the extract or the type of dried fruit you put in the mix, the possibilities are endless. Okay, endless is a bit of a stretch, but there are some great ones out there waiting to be explored, and for this I am — Simply Grateful. The weather here in Michigan continues to be bitter, unrelenting, and completely disheartening. With the cold pounding at the windows and snow piled high against the house, I needed a bit of spring this afternoon. 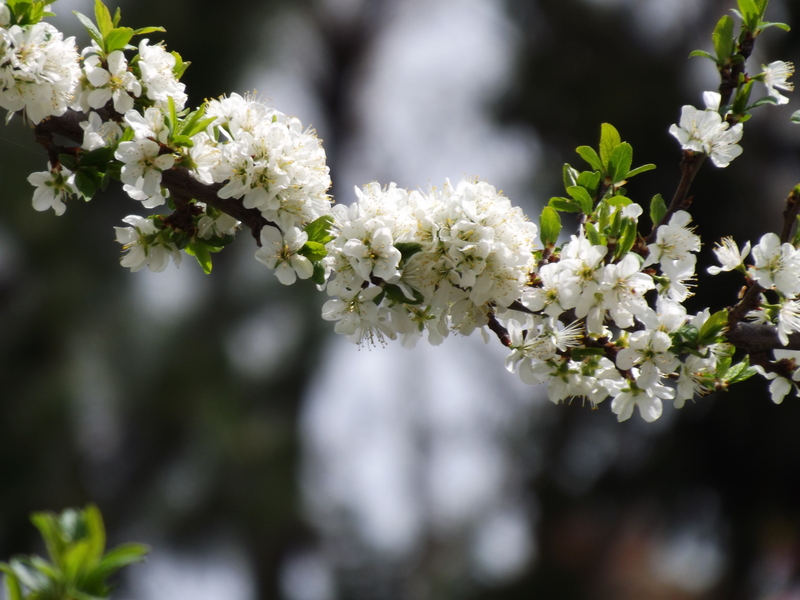 For a few glorious moments, I basked in the beauty of spring’s past. 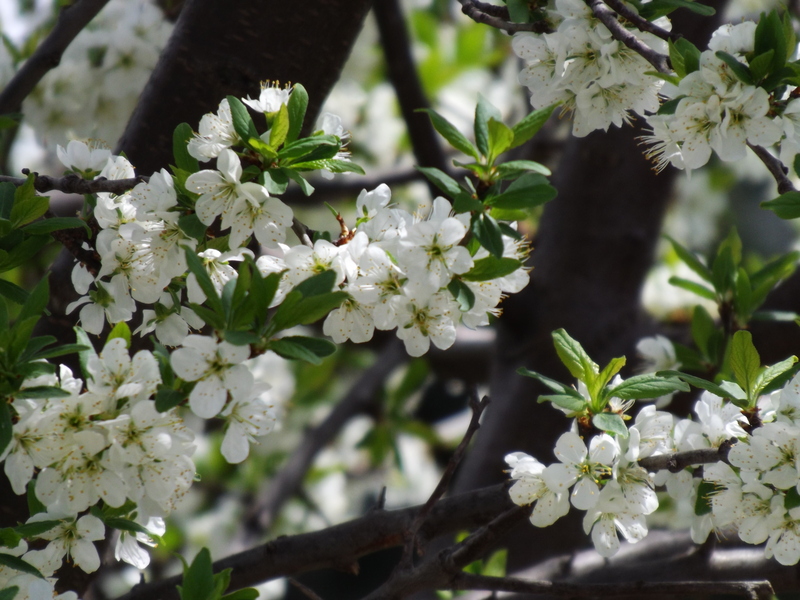 I can’t wait for warmer weather, longer days, and budding flowers to fill the air with the sweet scent of spring. For now, a moments reprieve from winter’s arctic blast will get me through the day, and for this I am — Simply Grateful. I’ve learned that loneliness is not a way of life, it’s a part of life. The house is empty — quiet. The only sounds breaking the silence are the gas heater roaring on the fireplace and the floorboards creaking as they expand and contract from the hot and cold air continually battling for position. Hubby is off to work, not to be home for at least 24 hours. The kids are off doing young adult things with friends and co-workers. And Bella, well, she is curled up among the blankets on my bed dreaming of bedtime, wondering why I’m not up there snuggling with her. The dinner dishes are stacked on the kitchen counter, still full of morsels of food that are turning into cement, assuring the need for a good soak before they’ll ever be clean again. The laundry room floor is full of clothes in need of washing, making it impossible to enter without elaborate mountain climbing skills. The office is a disaster area with piles of paperwork in desperate need of filing or addressing and boxes of inventory to list on eBay. The great room carpet has everything from that elusive Kleenex that never gets picked up to dog hair to the never-ending supply of lint that never seems to go away, disguising the dark blue color to a pale shade of speckled white. There are canning jars on the dining room table for storing the 25 pound bags of flour and sugar we recently bought as well as using for the ever-growing list of recipes I want to can for the pantry. 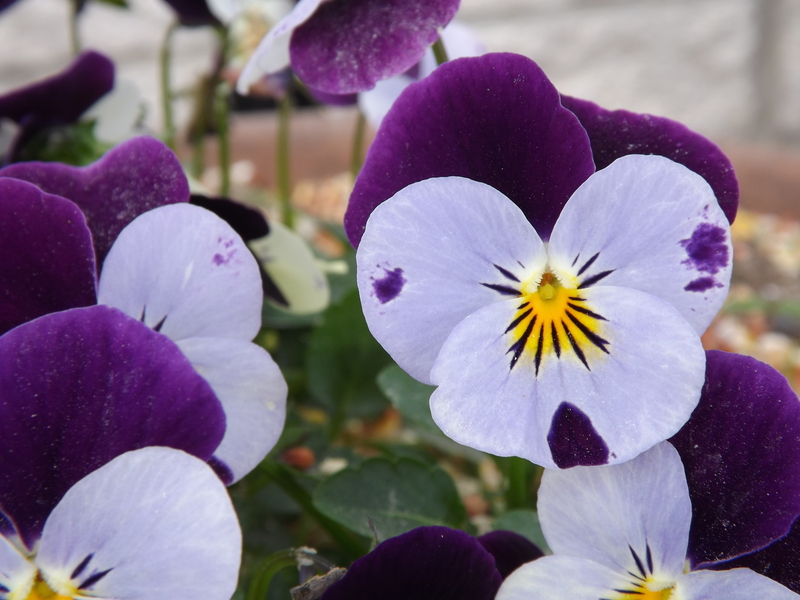 I haven’t started my gardening to do list for the spring, fearful that I’ve already missed some important dates for the preplanting season, so I continue to keep my head buried in the proverbial dirt hoping things will just somehow work out. The gym in the basement is calling to me, but the call falls upon deaf ears as I have more excuses for not going down there than any one person should be allowed. So much to do, yet here I sit. The quiet surrounding me, smothering me. Well, I got my wish. A few hours to myself, and yet, now I don’t really want them. I do far better knowing that everyone is home, everyone is exactly where I know they are safe, everyone is within shouting distance. Without the hustle and bustle and demands of being a wife and mother, I’m at a loss. Maybe that’s it. This has been an exceptionally cold winter. Last year was bad as well, but this year I feel as if I have been cooped up in the house with no way out. Almost like I’m trapped. It’s night, there’s no place to go, I can’t sit out on the patio, it’s too icy for a walk, I’m stuck. I’m not a cold-weather type person. Funny coming from someone who has lived in Michigan all their life, but true. I dress appropriately, sometimes to a fault, so I can stay warm even on the coldest of days, but the cold makes me lazy. It is easier to just sit here and complain about it being too cold to do anything than to collect the layers of clothing necessary to keep the cold from chilling me to the bone and venturing out into the icy tundra. Plus it’s not especially smart as I’m getting up in years and I certainly don’t need to fall and break anything. I sit here, guilt-ridden for the things I should be doing, could be doing, would be doing if I only had the inspiration, the drive, the time! How can I possibly do any of those chores, duties, or responsibilities waiting for me when I’ve got to sit here and dwell on being unproductive and lazy? It all seems rather silly, this vicious circle of procrastination which leads to guilt which leads to denial and then finally — well it will probably be bedtime so I guess acceptance comes next. Accepting that tomorrow is another day and one that I will take full advantage of and clean the kitchen, vacuum the great room, file the papers in the office, do a bit of canning, possibly pull out my gardening books, maybe do a load or two of laundry, and then wonder where the day went and why I didn’t have a moment of peace, and for this I am — Simply Grateful. According to Grace, “Crumble makes everything better!” So, when I came across a recipe called Fruit “Crumble,” how could I possibly resist. I made this dessert a few weeks ago using Concord Grape Pie Filling and then again tonight using Plum Pie Filling. Both were excellent and definitely a quick and easy dessert for a busy day. Putting the main ingredients in a jar and sealing it makes the prep time a mere five minutes. Who doesn’t have five minutes to make a hot and hearty dessert? Dump contents of jar into large bowl. With a cheese shredder, shred the cold butter into the bowl. 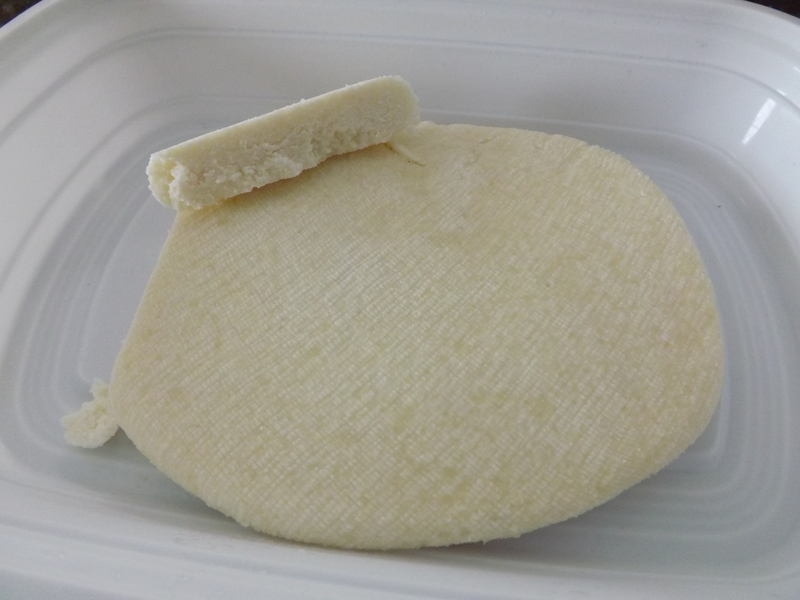 The cheese shredder is a great way to turn a cold stick of butter into tiny pieces. I like this method far more than using a pastry blender to cut the butter into the dry ingredients. Combine the butter and dry ingredients with fingers. 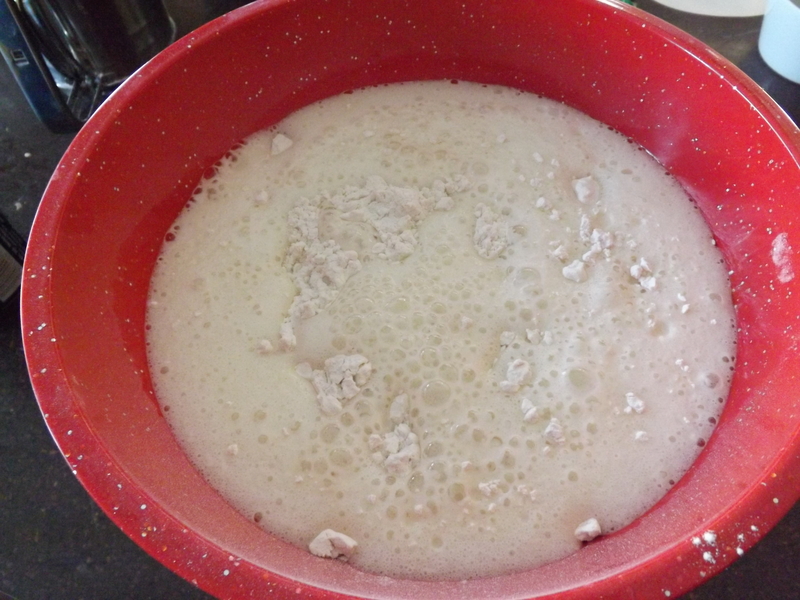 Press half the mixture into a 8×8 greased pan. 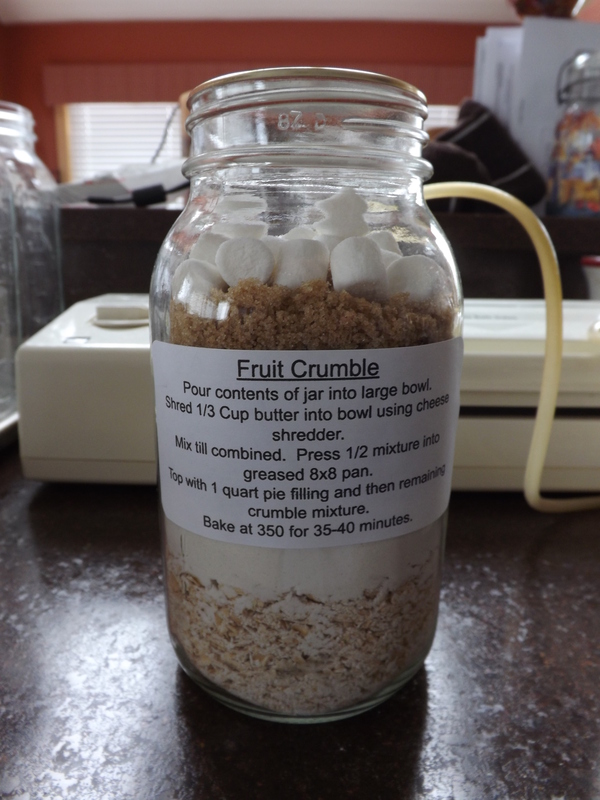 Add pie filling and top with remaining crumble. Bake at 350 for 35 to 40 minutes. When I went to put the jars of the crumble mix together, I found I only had “old-fashioned” oats to work with, not “quick-cooking.” This is an easy fix. I just dumped the canister of old-fashioned oats into my food processor and pulsed it six or seven times. This broke up more than 50% of the oats and quickly turned them into “quick-cooking” oats. Note that at the top of the jar there are some mini marshmallows. I read somewhere that these are supposed to stop the brown sugar from getting hard. I’ve never tried this before and with the jar being sealed by my Foodsaver it might not be necessary, but I figured it couldn’t hurt. I’ll just take the marshmallows out before dumping the mix in the bowl. 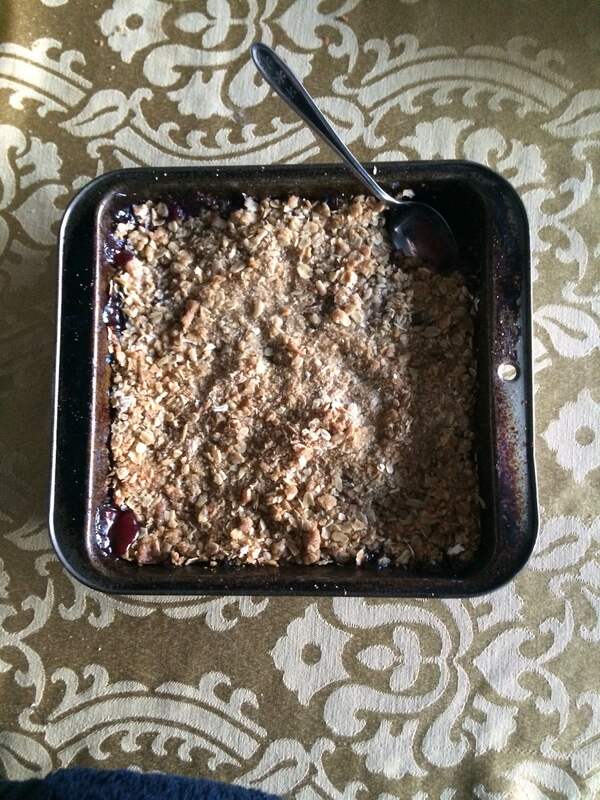 Crumble is definitely a crowd pleaser around our house, and for this I am — Simply Grateful. February has already been so busy that I haven’t had much time for anything other than getting through each day. I cannot believe that it is already the 10th of the month. Where does the time go? My canning to do list continues to linger at the back of my mind, but as for having any time to actually do any canning — well, it just hasn’t happened. In an effort to quell my canning guilt, or lack of canning guilt, I decided to throw together a few mixes-in-jars and put them on the pantry shelf. I love mixes-in-jars. Most of the time when I am either too lazy or too pressed for time to make something, it’s because assembling all the ingredients is time-consuming and often frustrating. Frustrating because most of the time there seems to be that “one” ingredient missing that makes it impossible to finish that recipe. Mixes-in-jars increases the odds that I’ll actually have everything I need. Mixes-in-jars are not all-encompassing, but there are quite a few things I love to throw together at the last-minute that have dry ingredients that can be assembled ahead of time. 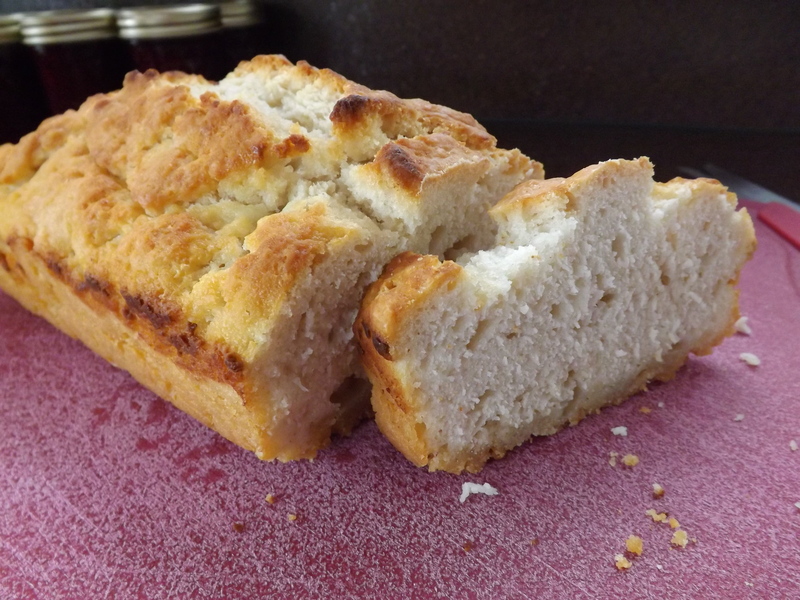 One of my favorite’s happens to be quick breads and for today’s post: Beer Bread. Back many years ago I was invited to one of those home parties that featured food items. I can’t remember the name of the company that sponsored the party, but I do remember it was quite expensive. Not wanting to leave the party empty-handed, I purchased a mix for beer bread. I had never had it, but was told it would be very good. The next day I made it and was very happy with it. Unfortunately, there was no way I was about to continue buying this bread mix at the prices the company wanted. My budget couldn’t stand it. I made a mental note to keep my eyes open for a recipe I could make at home, but quickly forgot about it. 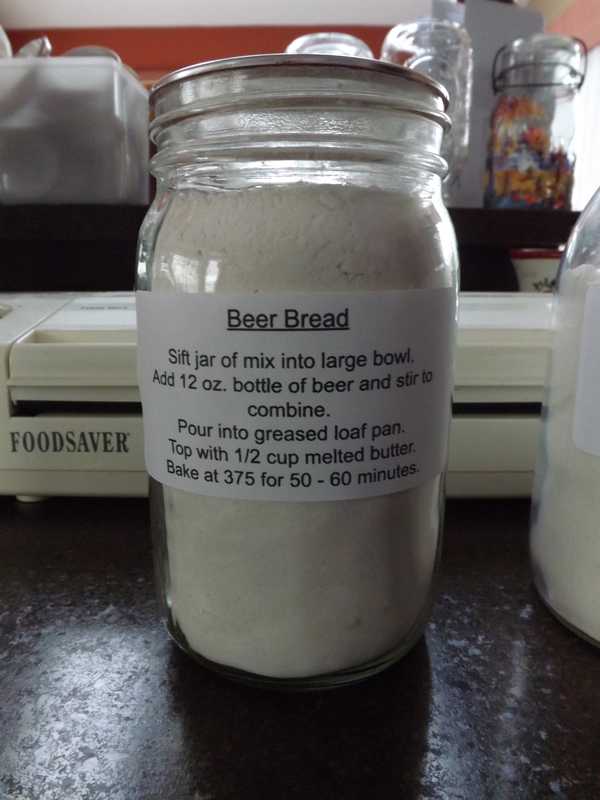 About a month ago while flipping through some recipes on the internet, I happened upon a recipe for beer bread. I couldn’t believe it. I knew I had to try it. I printed it off immediately and put it on the shelf where it sat. Finally, last week I decided it was time to give this recipe a shot. 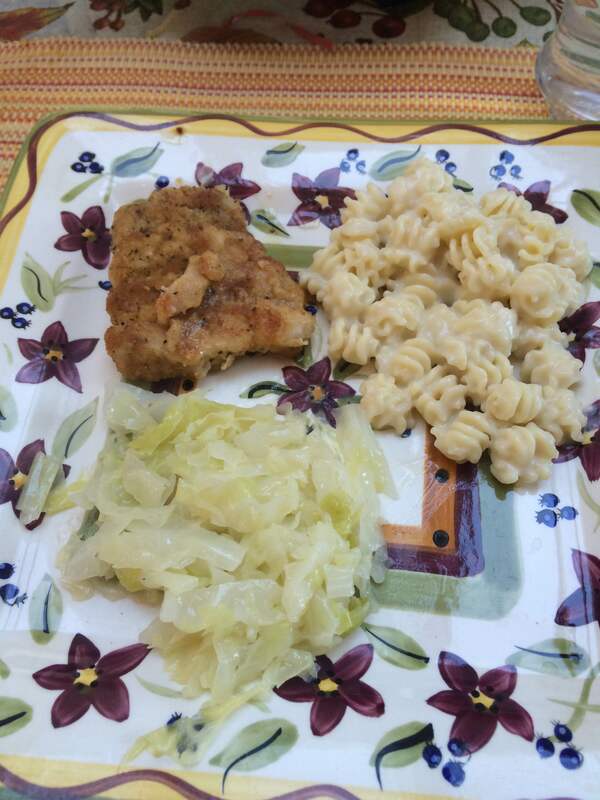 The recipe I chose was quick and easy and the dry ingredients were such that they would easily fit in a quart canning jar. Batter will be somewhat stiff. Bake at 375 for 50 to 60 minutes. This bread is so simple to make and absolutely delicious. The butter makes the crust crunchy and the flavor of the bread is excellent. Hubby doesn’t let this one sit for very long. I’m lucky if it lasts a day. Combining all the dry ingredients in a jar, sealing it with my Foodsaver, and having it on the shelf for a quick fix, is ever so comforting, and for this I am — Simply Grateful.